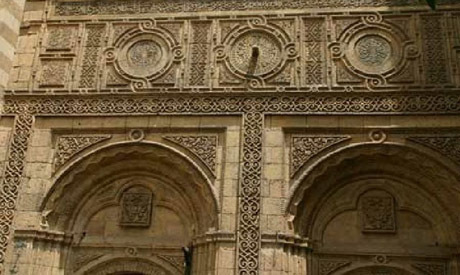 After years of negligence and encroachment Wekalet (Caravanserai) Qait Bey in El-Gamaleya area in historic Cairo is to be restored with the aim to develop it into a Mameluke hotel. The project is to be carried out by the antiquities ministry in collaboration with the housing ministry, which will conduct the required studies. The Caravanserai, like many other Islamic monuments in heavily populated areas throughout Cairo, is suffering from encroachment, negligence and mistreatment from area inhabitants. Mohamed Abdel Aziz, head of the Historic Cairo Rehabilitation project, told Ahram Oline that all cracks would be removed, foundation consolidated and masonry restored on Wekalet Qait Bey. He added that after restoration the Caravanserai would feature 15th century furniture to reflect the era in which it was constructed. Wekalet Qait Bey was built by Sultan Al-Ashraf Abul Nasr Qait Bey and served as a model for other caravanserais in the Mameluke period. This includes storage and commercial buildings which sold merchandise and provided accommodation for merchants and their clients. The façade of the building overlooking Bab El-Nasr Street is divided into three horizontal levels, with the entrance at its centre. On each of the two sides of the portal are five shops, above each of which is a mashrabiya window (wood work). On top of these windows are another row of windows provided with networks of iron grills. The entrance consists of a recessed wall containing an opening for the door. An inscription, carved in Mameluke thuluth script states the reason for building the edifice. The ground floor is a rectangular courtyard surrounded by a group of storage areas. Above it are three stories, which include residential units for merchants. 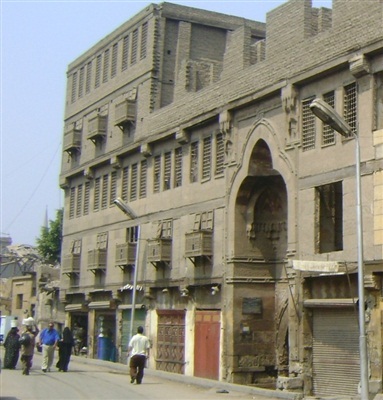 Abdel Aziz said that historic Cairo’s north gate, is also to be restored. The gate will be converted into an open visitor’s centre with a large image displaying the history of Cairo and its development over time.